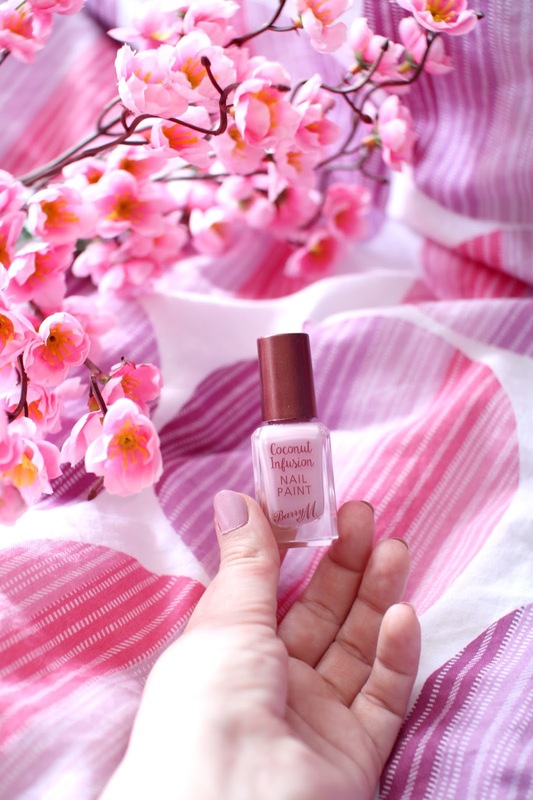 I've always been a fan of Barry M nail polishes and when my friend kindly picked this one up for me and I saw it was infused with coconut I was so excited to see what it was all about! 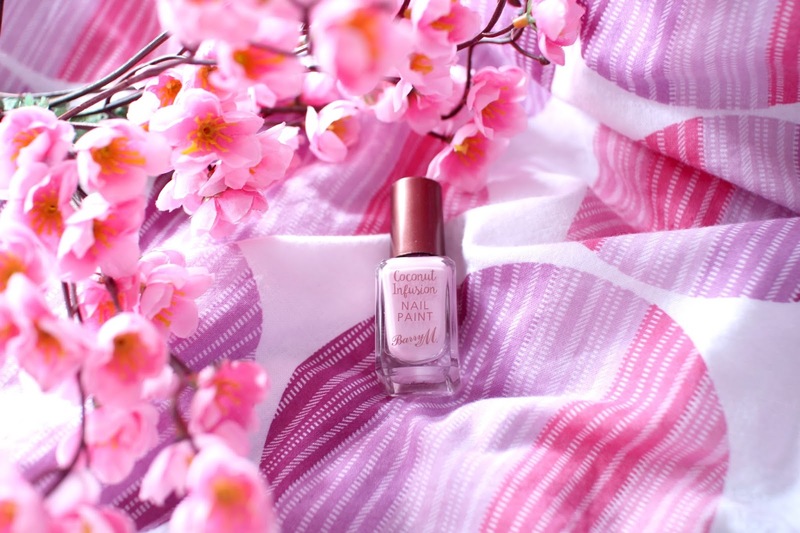 Coconut is the latest trend in the beauty world and Barry M have bridged that gap into nail varnishes. The nail varnishes are made up of an unique blend of coconut oil and coconut water which is supposed to keep your nails feeling nourished and hydrated. Barry M also claim that it strengthens your nails with the added benefits of Vitamin B and C! Although I can't comment on whether this nail varnish is strengthening my nails as lately I've been using the Vaseline 'Healthy Hands and Healthy Nails' hand cream (which I'm loving, by the way!) I have noticed my nails are peeling a lot less which would suggest they are a lot more nourished than usual! 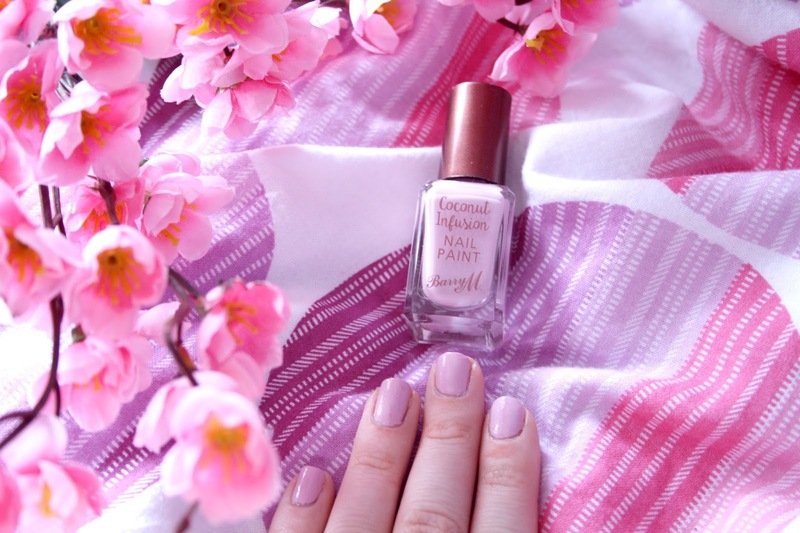 I've been pretty much wearing this shade on my nails for the last month because I'm just so obsessed with it, I think I might need to pick up a new one soon! I love the glossy, gel like finish this nail polish gives - it makes the nails look really smooth and even which is nice when you've got kinda rubbish nails like I do! This nail varnish lasts a couple of days on me without chipping. The formula is marketed as not needing a base or top coat and I'd definitely agree with that which makes it quick and fuss free to apply. I'll definitely be picking up some more shades from this collection! Such a pretty colour, Barry M seems to be a great brand from what I've seen so far!